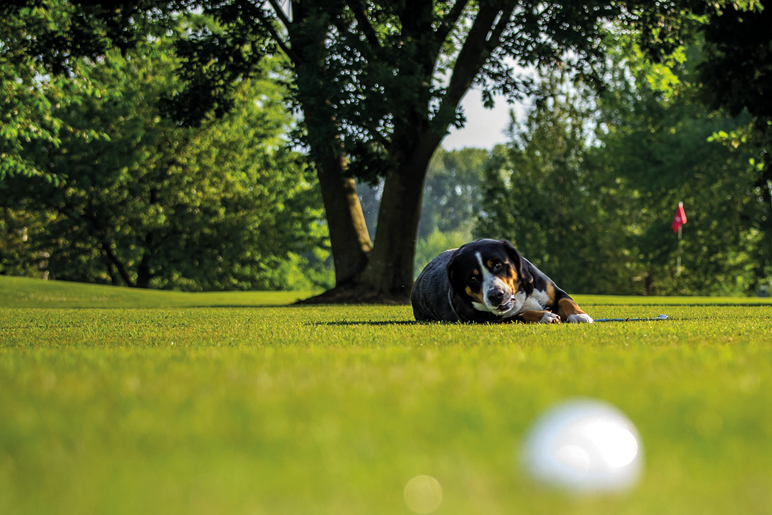 Players can take their dogs on the course, following a number of precise instructions. The dog must be very well behaved (possibly trained), it must always be kept on a lead, it must not bark nor foul the course and, above all, it must not steal the balls. These measures are designed to avoid the game being disrupted in any way.